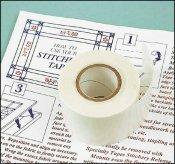 Stitchery Tape, 60' Roll  - $17.26 : Yarn Tree, Your wholesale source for cross stitch supplies. Item 2494. 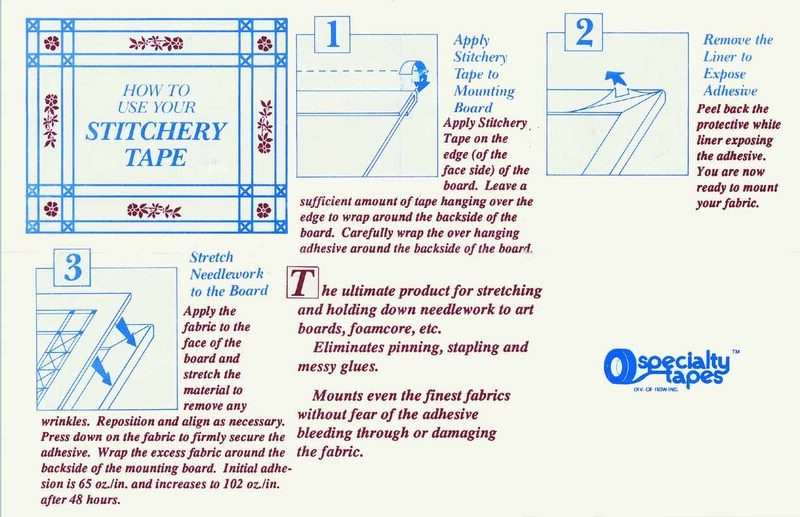 Stitchery Tape, 60' Roll. This transparent double coated adhesive tape is specifically designed for mounting stretched needlework to art boards, foam core, etc. Eliminates need for glue, pins, and staples. Adhesive will not bleed through or damage fabrics. Acid free, archival quality. Safe for delicate fabrics. Comes in a new 60 foot or 180 foot roll (Item 3667), 1½” wide. Instructions for use on the back of the package.